JELD-WEN is one of the largest manufacturers of windows and doors in the world. With a variety of products, they have several that make sense for hurricane protection. For hurricane impact windows, JELD-WEN offers ImpactGard®. The glass is constructed to withstand the impact from wind-borne debris as well as harsh coast climates. In fact, ImpactGard features the industry’s leading laminated glass technology, as it can survive a nine-pound piece of lumber striking it head-on at around 34 mph. It’s also superior at reducing sound transmission and blocks up to 95% of UV rays. 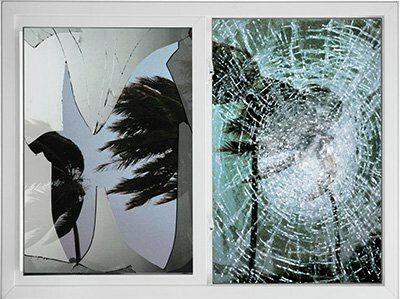 What’s important to know is that during a hurricane or storm, a broken window can impair a home’s structural integrity. ImpactGard windows are designed to be impact resistant. Even if the glass cracks, the fragments stay adhered to the interlayer, leaving the shards in the frame. ImpactGard windows meet the nation’s toughest building codes, including those in Florida. You can opt for ImpactGard glass in a variety of JELD-WEN windows and patio doors. Inquire about your options when you work with the team at Armored Dade. If you are interested in installing JELD-WEN windows in your coastal home, then we’re here to help. We’ll ensure that you get the right type of frame and style, so that your home is protected and aesthetically pleasing. We can install JELD-WEN windows to operate and last for a very long time. With a quality window installation from us, you won’t have to worry about problem windows anymore. Get a quote for your new JELD-WEN windows today.